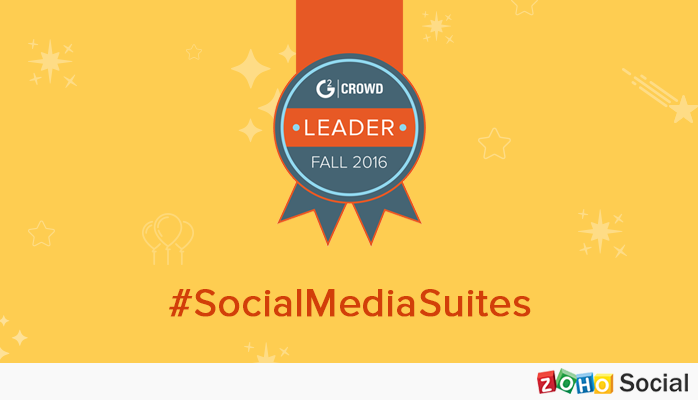 We’re excited and humbled to announce that Zoho Social made it to the Leaders quadrant in the G2 Crowd Fall 2016 Social Media Suites Grid Report. This is our first appearance on the G2 Crowd Grid, and there could have been no better way to enter it. G2 Crowd is the world’s leading business software review platform and leverages more than 100,000 user reviews to drive better purchasing decisions. Technology buyers, investors, and analysts use the site to compare and select the best software based on peer reviews and synthesized social data. More than half-a-million people visit G2 Crowd’s site every month. In a time and age where users have access to every bit of information they desire during the evaluation phase, ratings like these help us stay focused on making social media marketing easier for growing businesses. Zoho Social has been named a Leader based on receiving a high Customer Satisfaction score and having a large Market Presence. 89% of users rated it 4 or 5 stars, 96% of users believe it is headed in the right direction, and users said they would be likely to recommend Zoho Social at a rate of 88%. The report is based on more than 1,670 reviews and includes 45 products listed in G2 Crowd’s Social Media Suites category. Zoho Social is also in the Social Media Management, Social Media Monitoring, and Social Analytics categories. How does the G2 Crowd Grid work? 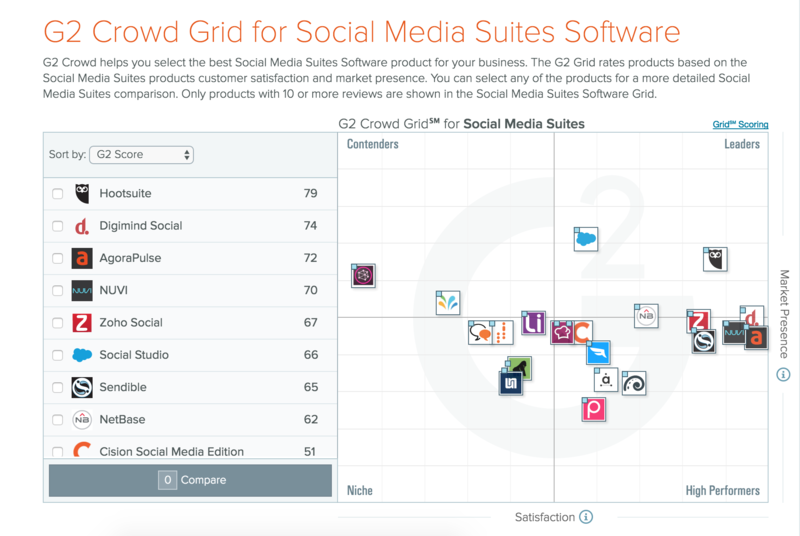 G2 Crowd helps you select the best social media suite for your business and rates tools based on customer satisfaction and market presence. Many reviewers described social media suites as easy to use and easy to learn. Users wanted simple, intuitive workflows without giving up dynamic range of toolsets. When a product possesses a steep learning curve, complicated interface, or sacrifices capabilities for convenience, reviewers described poor experiences. This further strengthens our vision to make social media marketing hassle-free and time-saving for businesses across the world. If you aren’t already using Zoho Social, try it out today. The first 15 days are on us, and hey, no credit card needed! Finance, meet iMessage. Payments, approvals, and reminders, all through iOS 10. 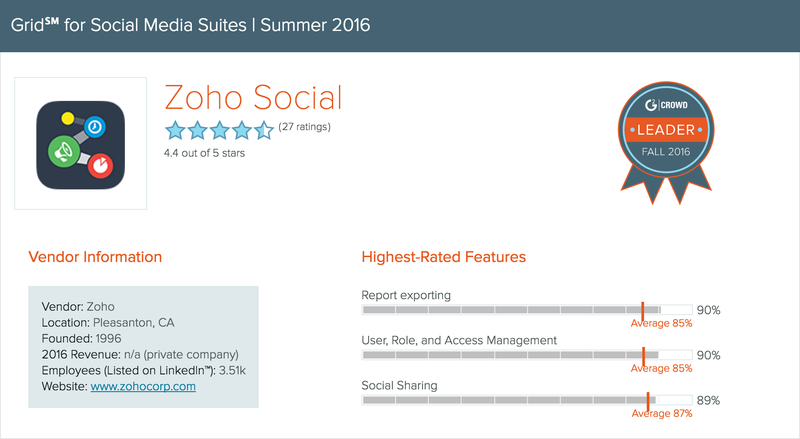 No Replies on Zoho Social is a “Leader” in the G2 Crowd Fall 2016 Grid for Social Media Suites. Sweet! Commenting is Disabled on Zoho Social is a “Leader” in the G2 Crowd Fall 2016 Grid for Social Media Suites. Sweet!